A group of 12 ambitious businesswomen pitched their ideas to a panel of local business experts today (Friday 15 March 2019). 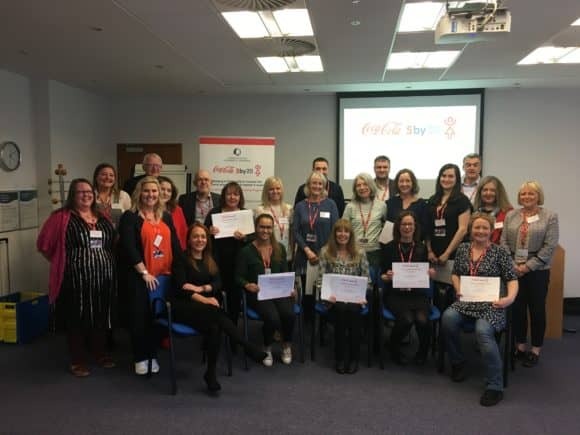 The event marked the finale of the women’s participation in the Coca-Cola 5by20 Dundee FastTRACK to Business Success Programme, a one week programme covering the fundamentals of business. Today, the support panel of 19 local experts specialising in areas such as finance, hospitality, social media and public relations, heard presentations from the women, who made a case for their business support needs. Some of the FastTRACK participants / support panel members. Happy 50th Birthday to Fire Surround Centres! A Dundee family business is celebrating its 50th birthday. 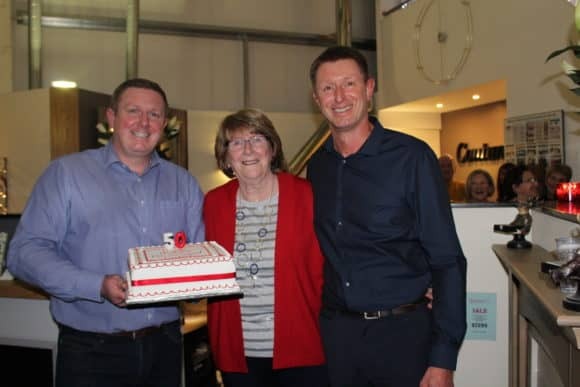 Gary and Graeme Turnbull, Directors of Fire Surround Centres, marked the occasion amongst clients, friends and family, including their mother Stella who, alongside her husband Bob, opened their first workshop on Dundee’s Hawkhill, next to the Whitehall Theatre in 1969. Five blind and partially sighted young people have enjoyed a chance to experience the thrill of flying in and around Dundee. Taking off in Tayside Aviation aircraft, they sat beside an experienced pilot in a small dual-control Piper Warrior plane used for teaching trainees. 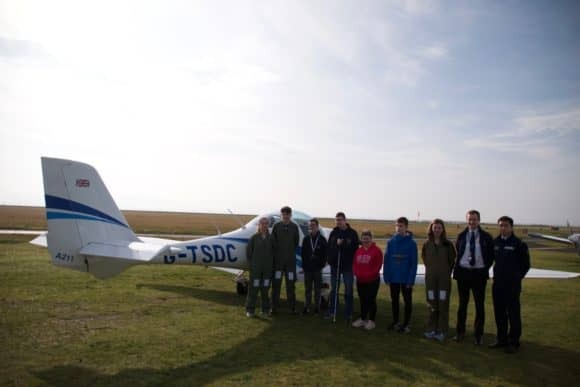 The opportunity came thanks to Flying Aces, an innovative scheme set up by the RAF Air Cadets and funded by the Armed Forces Covenant Fund, where young people from disadvantaged or disabled backgrounds can experience the thrill of flight. The instructors and the planes were provided by Dundee flight school Tayside Aviation. More than 200 Tayside pupils attended a ‘Careers in Healthcare’ event today (Wednesday 6 March 2019) as part of Scotland’s Apprenticeship Week (4-8 March 2019). 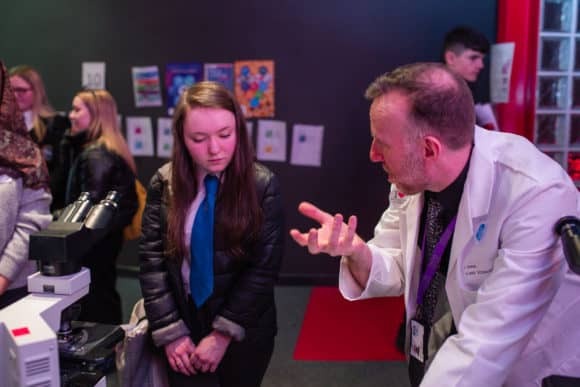 Pupils from schools across Angus and Dundee attended the event at Dundee Science Centre to gain an insight into the wide range of careers available in healthcare. The event was arranged in partnership with NHS Tayside, Developing the Young Workforce Dundee and Angus and the University of Dundee School of Nursing and Health Sciences. 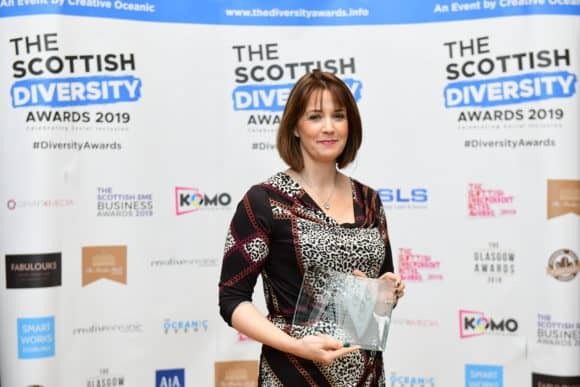 Angie Foreman, Programme Director of Coca-Cola 5by20 Dundee, has won a Scottish Diversity Award. Angie was presented with the Equality Advocate of the Year award at a glittering ceremony in Glasgow. The news comes hot on the heels of Angie winning the Change Catalyst award in the Business Women Scotland / Women’s Enterprise Scotland Awards in November 2018. Launched in 2010, Coca-Cola 5by20 is a global initiative with one purpose – to enable the economic empowerment of five million women by 2020. Run in over 60 countries around the world, Dundee is the only city in Western Europe to host the programme.